Over the past few years I’ve been on more planes than I can count. I’ve been on large planes flying direct across the country and teeny tiny planes flying just a few hours away in my same state. I’ve had on time flights and terribly delayed flights. I’ve run through terminals and spent countless hours wandering the halls of airports. I know when to get coffee before a flight and when to wait for the Starbucks on the other end of the arrival gate. I miss the hustle of travel, but I missed my family more. Late last year God orchestrated events that landed me back home. I was no longer traveling, no longer speaking, no longer part of a community. 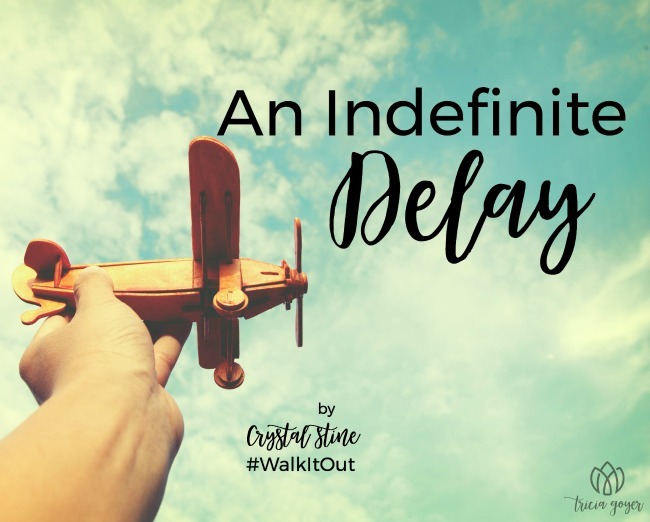 I was grounded, delayed indefinitely, and I felt lost. I thought all that hustle was part of my calling, my way of using my gifts to serve God and His daughters through ministry. How was I supposed to live this life I felt called to when I couldn’t go, do, be . . . more? The struggle to find a way to pursue my passions while embracing the gift of serving my family felt impossible. 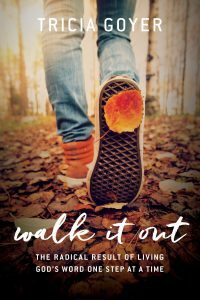 We often view that tension as an “either/or” decision, torn between living fully in our calling and serving those God has placed in our lives and homes. But what if it’s really a “both/and” lifestyle that God has planned for us? In that season when it felt like everything I thought I was journeying toward had been taken away, God brought me back to one of my favorite Scriptures. When I was a brand new Christian, this verse was one of the first that resonated with my heart and it’s been the one I turn to again and again. God’s Word is living and active, and while there had been times when I’d read this verse for comfort, now God was using it to teach me about my calling. Where my eyes read “be still” my heart heard “stay put.” Stop moving around, trying to find your next right thing in another project, another adventure, another opportunity. Be still. Embrace where you are, right where God has placed you. Know in your head and your heart that God is who He says He is. He doesn’t make mistakes, He’s not caught off guard, and He has something for you here. Right here. Be still. Sometimes the most radical thing we can do for Jesus is to serve in the small, unseen, right-here faith places. We can embrace our families, neighbors, and community as part of our calling and use our gifts to glorify God. Our hustle can be holy when we say yes to both the passions God has given us AND the place we’re in, right now. If, like me, God is asking you to be still and stay put. Do it. Those gifts of yours are as good and worthy and beautiful and unique over backyard campfires, walks to school, and at community events as they are in an arena a plane ride away. Your audience may be smaller but they need to hear your encouragement, your message, and your love for Jesus. 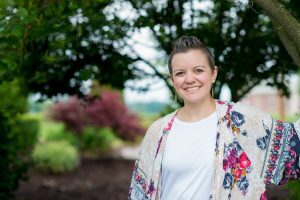 Crystal Stine encourages women to pursue holy hustle – a work hard, rest well lifestyle that chases faith instead of fame. Mama to a 5-year-old (and married to her high school sweetheart), Crystal is the author of Creative Basics: 30 Days to Awesome Social Media Art, creator of the popular “Clarity Coaching” Course, editor of “Craving Connection” and host of the annual Write 31 Days challenge.